Tying up a few loose ends. For those who are really looking to improve, read the tips below. Thanks again for racing with us. Hope you can join us at the Winter and/or Epic Editions. Review our 2017 race calendar for dates. Please email me if your name is listed below. 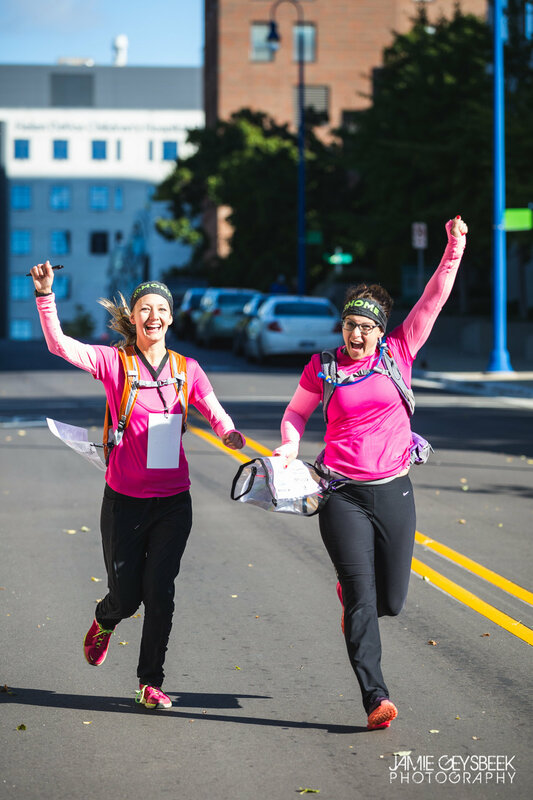 Let me know whether you can pick up a Michigan Adventure Racing buff or pint at a Gazelle Sports store, which store and whether you will be picking up for your teammate as well. You donated $635 at the Boggle the Mind challenge for funding VAI research to fight over 20 diseases. Thanks! These items are at Gazelle Sports Grand Rapids (ask staff to look for the ziplock bag). If you need it transferred to another Gazelle store, call Gazelle GR or email me if necessary. If you need it mailed to you, you’ll need to mail me a postage-page return package or envelope. More photos to come on our Flickr page. Stay tuned to Facebook for the announcement. You can grab photos of yourself at no charge thanks to Jamie Geysbeek Photography. Of the 26 of you who filled out the survey, 19 rated your experience Very Good and 7 rated it Good. Not a large sample size but we’re always glad to see all thumbs up. Some people preferred a longer run course and a shorter bike course. It was hard to make the bike course any shorter this year due to the lack of bridges south of Jupiter… unless we removed Lamoreaux Park trail. Didn’t want to lose the dirt trails though. Most years the bike course is about 3-4 miles shorter because there are not any bridge/river restrictions. Tour de Caffeine struggles. Steel and water are generic words. Most search engines came up with the location if you added “Grand Rapids” or “ArtPrize.” Most people got it; sorry if it was frustrating but it was legit. The blue CP coloring was a winner, especially for those with red/green color blindness so we’ll likely use a light/bright blue from now on. If you couldn’t find veggie pizza that’s because the meat pizzas came from the downtown location in the first batch and 50 veggie pizzas from Standale in the second delivery. We’ll see if we can get them to do a mix from each kitchen. We always order at least 33% veggies based on past race demand. I asked some of the top teams to share their secrets to success. Constant communication regarding the race instructions, maps and challenges. Always keep scanning these documents to make sure CPs are not missed, instructions are not ignored. Bike vs. run order. If you think you might be able to get all or most of the checkpoints, consider selecting the most distant section to do first. Many top teams got the bike out of the way first because the run section is close to the finish where you can better maximize your CPs and only need a few minutes to sprint to the finish. Also the wind picked up a lot later in the race (check the forecast which called for this) so the bike became more difficult. Obviously, the drawback is dealing with heavy ArtPrize crowds later in the day so discuss how difficult this might be. Try it one way and then try the other way in the next race. Training. The top teams are usually putting in quite a few bike and run miles every week for this race and many other races so they always have a race to keep them motivated. It’s easy to get in lots of miles but are they quality miles? Integrate more high intensity intervals, more hill repeats, throwing high-speed bursts into standard pace workouts on bike and foot. Plan with the beginning in mind. Which challenge will get the largest crowd at the start? Can we efficiently skip that one and do it at the end of our route? Even more important, is it a challenge with a limited number of stations that could cause lines? A good example is Monroe Community Center’s riddles vs. Bike Polo. 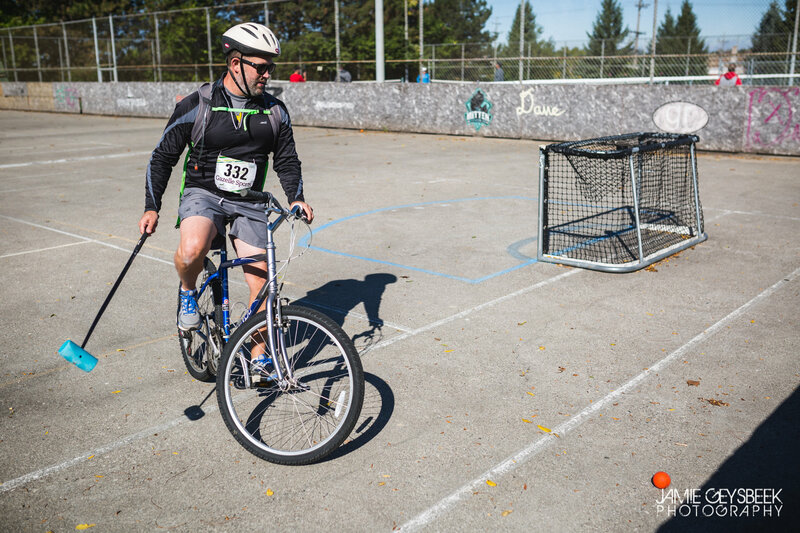 Some teams realized that bike polo might have lines due to the number of teams on the courts at one time. MCC did not, plus MCC would allow teams to cue off or work with other teams. Still other teams skipped both of these challenges at the start and hit them at less busy times as they finished their bike leg since they were both on the way back (My design intent/hope was that teams would hit MCC at the start since it could handle lots of teams and bike polo at the end). Plan with the end in mind. Create a route that ends with CPs and challenges clustered fairly close to the finish. Because challenges take more time, you can skip one more easily at the end. Just grab the CP and skip the challenge if you are running out of time. Some teams ended with the Silhouette Count, knowing it could be a long one (if you didn’t read the artist’s statement card revealing the answer). Review your route and decisions. Talk with your teammate(s) about what you did well and didn’t do well. Write down and review learnings. How did your pre-race planning go? Did you have the right gear, food, hydration? Did you communicate well with each other? What checkpoints did you struggle with? Can you determine why? How can you get faster on foot, bike and boat? Attend a clinic. If you haven’t been to one of our clinics, that’s another way to get better. Our next one is January 14 in Grand Rapids. RSVP here. Not from the area? Follow along with the online version of the clinic. Check in with MI Adventure Club in the Brighton area. They put on clinics now and then. Search online for tips. The best for navigation tips may be MI Adventure Club’s videos analyzing route selection from Michigan Adventure Races and other Michigan navigation events. Mark Lattanzi’s website is a good one too. Practice navigation. 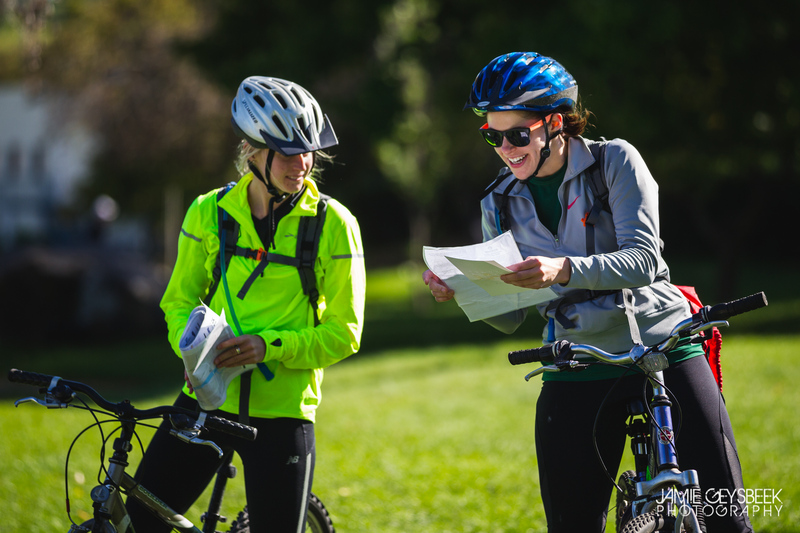 Here are the Michigan locations for permanent orienteering courses. We’re also designing a course at Seidman Park in Ada, just east of Grand Rapids. Hopefully we’ll get approval in 2017. Or, create your own “streamer” course using a free app on your smartphone such as Terrain Navigator Pro (search in apps on your phone). Tie a small length of streamer tape to defined points on public land and have your teammates try to find them. Make your bike faster. You don’t have to buy a high-end cross/gravel bike to get faster. Start with faster, lower tread tires when you do not need the bigger knobs (no technical singletrack, no heavy mud or sand). Here are many more ways. Create tow systems for your bike, on foot and boat. Recommended on more remote roads rather than ArtPrize bike legs due to heavier traffic. Have the strongest teammate carry more weight (others should still carry hand-held hydration). Search online for ways. Here’s the tow system my wife and I use (she still works hard while the tow is on, but every little bit helps). What an amazing day with some amazing people. Thank you for racing with us. Hopefully the race will be a great memory maker for you and your teammate. Achieving PRs (personal records) in races is all good, but nothing beats an adventure with a friend or family member. We will order less wind next year, but we were impressed by your toughness as you pushed through it. The sunshine was much needed, eh? Our sponsors: Spectrum Health, Community West Credit Union, Gazelle Sports, Bill & Paul’s Sporthaus, Modern Woodmen Fraternal Financial, Peppino’s Sports Grille, West Michigan Bike & Fitness, EcoTrek Bars, Jamie Geysbeek Photograph and Zanfel. Please consider supporting their business and letting them know you appreciate their support of the race. All the volunteers. Without their help, the race would have no challenges. Extra dose of thanks to those who were in the shade or wind much of the day. Those who donated at the Charity Challenge. 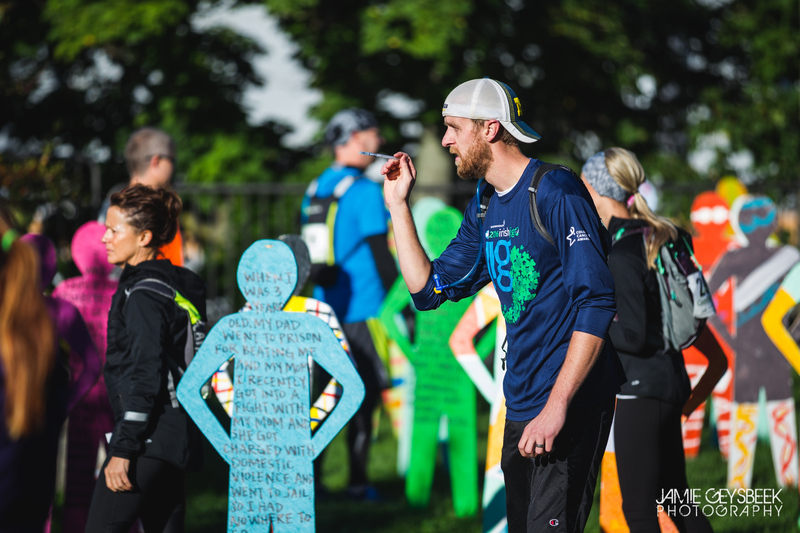 We’re still working on the final amount from the challenge and race profits but looks like a nice amount of money will go to the Van Andel Institute in their quest to find a cure for 20 diseases. Local businesses for allowing us to do checkpoints and/or challenges on their property: Out Back Casual Living and Fence, Peaches Bed & Breakfast, Mayan Buzz Coffee Shop, Peppino’s, GR Community College, and Monroe Community Church. A special thanks to the bike polo team for helping us with that challenge. Interested in bike polo? Learn more here. Great job everyone. Here are the preliminary results. If there are significant errors, please email me by Tuesday or we’ll consider results final. It appears that the overall standings might have shuffled for a few teams, but the divisional standings remain the same. If you finished in the top 8 in your division and weren’t there to claim your prize, please email me by Wednesday and I will mail it to you. If you returned beyond the deadline, don’t let that tarnish the day – look at where you probably would have finished without penalties and next time you’ll know what to do differently. If you finished near the back of the pack even without penalties? Who cares. Having fun is what this race is all about. We still owe prizes to the team with the greatest combined age. Stay tuned. Here are answers to two challenges that stumped a few teams. Tour de Caffeine: your race instructions recommended that you ask anyone around for help or their phone. Searching the words “Steel Water Grand Rapids” revealed it is a sculpture at the JW Marriott, just above the Grand River, just a few hundred meters from the finish (you can actually see it from the finish line). Please take a minute to fill out our survey to help us improve future races. We consider every comment seriously. I’ve already added “more cookies and apples” to my event plan. 🙂 Sorry about that! Found: I think there’s a black headband and m aybe a watch. The pile of stuff is too high for me to find that box at the moment. Feel free to email me if you lost something. Thanks to Jamie Geysbeek Photography for the race photos. Check out the first batch on Facebook. Once they go through image editing, we’ll post hundreds more to our Flickr album and let you know via Facebook. If you did not get the shirt that you registered for, please email me today. The Dirty Duel is November 12. Capped at 750 and expected to fill up. Just $29. Pick between the Short & Brutal 5K or Long & Difficult 6K, both designed to finish within seconds of each other for the average runner. Pick the one that suits your skills and desire. Merrell just announced $18 tubular headware (aka buffs) free for all racers. Donuts, cider, EcoTrek whole food bars for all registrants. Heaping piles of top prizes and raffle prizes. This is the only race of its kind on earth/Earth (from what we can tell online). Both courses will conquer the corn maze/field. Shirt purchase optional. 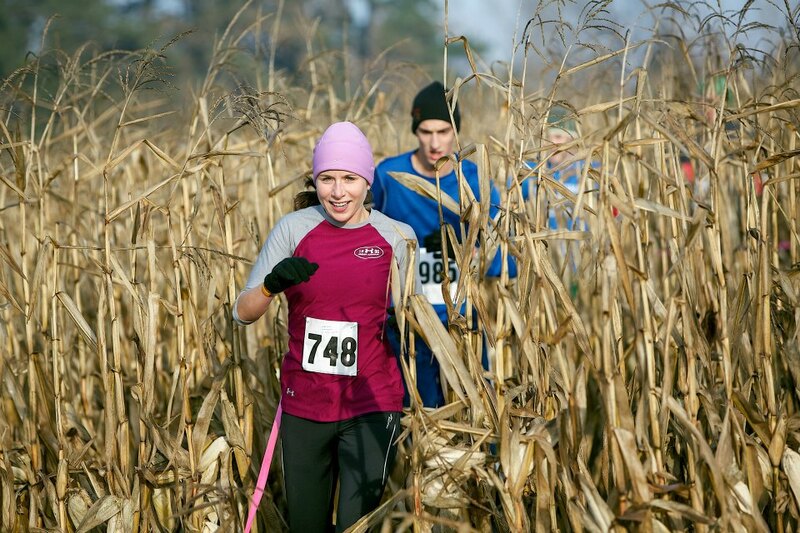 The Michigan Adventure Race: Winter Edition registration is now open. Jan. 28 at Camp Roger in Rockford. 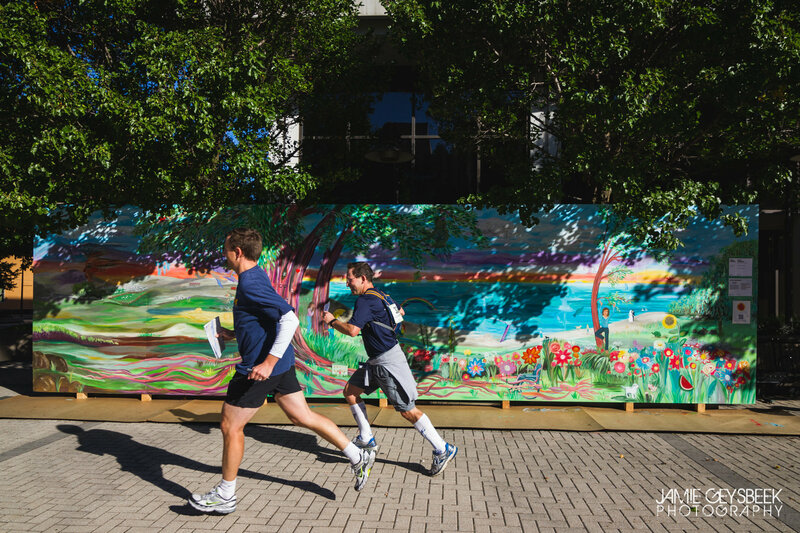 All of the fun and challenge of the ArtPrize Edition with a slightly whiter background and three hours instead of four. Fatbiking and snowshoe challenges (equipment provided) along with several mystery challenges. Same great Peppino’s pizza and veggie and meat chili from Honey Creek Inn too. Learn more here. We appreciate your wonderful attitudes, effort and spirit! Thanks again for racing with us!